Stations that should have never left us..
KEGL, P.D. 'ed by Randy Brown (aka Chris Haze) was one of the first and certainly the most succesful Rock/40 stations. In my opinion, this is the station that Scott Shannon used as an example to create Pirate Radio in LA in the early 90s. Kidd Kraddick, back when he was younger, worked 7-Midnight at KEGL. He was one of the best night jocks I've ever heard. In 1987 Randy left KEGL, and the format went more Top 40ish, playing dance-oriented stuff. Later the station changed more towards rock. KEGL spent a year as a 70s AC station, then as a Spanish oldies station, before it returned this year back to active rock. Crap Channel sure knows how to put CRAP in a channel don't they? We lost KOFM in the mid-80s. 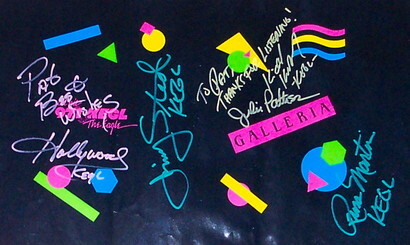 A autographed bookcover from a signing/appearance when KEGL gave away a Porshe.. I believe this was just after Kraddick was moved to afternoon drive @ KEGL. Too bad KEGL is only a shell of a once great radio station, even though it is currently "rock". Hot Rocking Z104.5 Tulsa, OK! 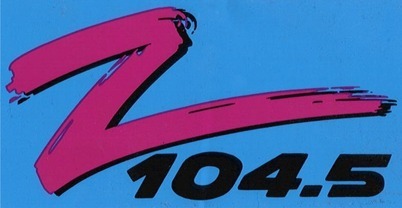 Z104.5 was the last Rock/40 station that I know of. What a great station! Bannana and Mel (mornings and P.D. ), Wavy-Davy (imaging guy), Hondo, and others comprised one of the best stations had in the early 90s. The baby Shamrock management over-reacted to their new-found LMA of 94.1 The Hawk, a classic rocker with a bad signal, and changed the Z to a harder mix to unsuccesfully protect the Hawk. They are currently 1045 The Edge, playing alternative/modern rock. Mel currently resides at Star 103.3, along with Wavy and other great Tulsa jocks.